Yesterday I discussed my favourite board and card games and sticking with that topic, these are the games I’ve never played. 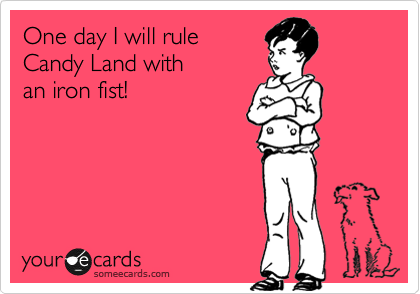 If anyone wants to join me and do a couple rounds of Candy Land or something, just give me a shout. If you’re willing to foot my travel costs, we’ll get this done! Never have I ever played Twister… hmmm, I should say that for my next game of Never Have I Ever! I’m not really sure I want to play either, unless it’s just Mrs. Sip and me and clothing is optional. That is one tangled mess I wouldn’t mind being part of. Otherwise, I’ve always appreciated my own personal space and that of others. It could make a fun drinking game through, with those who lose being punished with shots! As a youngster, I owned Mouse Trap, but I’m certain I never actually played a full contest of the crazy contraption game. By the time you had all the traps set up, which could be a total pain to do, you just wanted to play with that and trap all the mousies. Worst of all, the contraption often didn’t work properly. Does anyone out there also remember Grape Escape? It was similar to Mouse Trap, but you were trying to crush Play-Doh grapes with different devices. With such a wicked name, you think I would have tried my luck at the classic word definition game. As a writer, I feel I would get upset when I suggested a definition for one of the words and it wasn’t selected as the correct one. That’s when I throw all my cards up in the air, drop a couple dozen curse words, and storm out of the party! 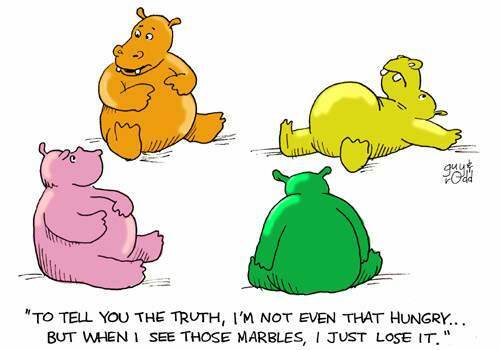 I know what you’re saying: “Surely, you, you stud of studs, must have played Hungry Hungry Hippos at some point in your life.” Sadly, while I remember having friends who had the game and I remember using the hippo to gobble up the little white ball, I’ve never played an actual competitive contest. Something new for the bucket list, I guess. How cool would it be to play a life-sized version of this game? Jumanji! I whole-heartedly believe that Chess is beyond my learning abilities. I tried going through a computer tutorial one time, but it didn’t help matters. Once the game started, I just sat there staring at the screen. Then I played an entire round via the computer “suggest a move” option. I still lost! That’s why I don’t believe I’ve ever played the game before. The children’s classic Candy Land has never been played by the Sip Advisor, despite his love of candy and other confectionary treats. My version of Candy Land is a shopping trip to Walmart, followed by gorging myself on all the delicious treats I’ve just picked up. If we need a little action, I pretend Mrs. Sip is trying to chase me down to steal my goods and I have maneuver to avoid her attacks! In actuality, we are all geeks in our own special way. That said, I can fully certify that I have never played a role-playing game of this magnitude. I have thoroughly enjoyed the episodes of Big Bang Theory that have centered on the fellas playing the dungeon master’s quest. I have to admit, though, that I’m not really into games that you should remain sober for… too much thinking = bad. This classic VCR-based board game (remember those!?) was meant to spook the crap out of you, but most people just found the video scenes, particularly the host ‘Gatekeeper’ character, to be comedic. Still, I’d love to turn the lights out one time, throw on this game and see if it is at all scary. I bet I end up having nightmares… who wants in on this action! I hope you enjoyed this nostalgic look back at board and card games as much as I did. Which games have you never played? Together we can end that injustice! This drink was an interesting mix of flavours thanks to all the different juices. The Strawberry-Kiwi Vodka was a nice touch and those notes came through the strongest. 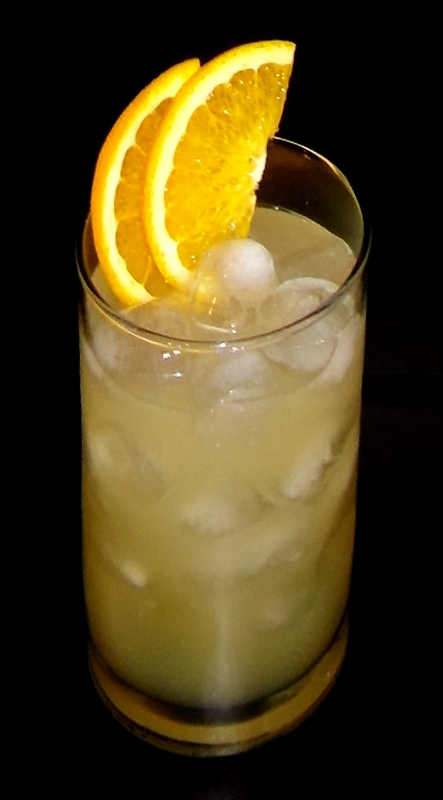 This entry was posted in Crazy & Classic Cocktails and tagged balderdash, Board Games, Candy Land, Card Games, Chess, cocktail, Dungeons & Dragons, Hungry Hungry Hippo’s, lemon-lime soda, lime juice, Mouse Trap, Nightmare, orange juice, Orange Slices, Strawberry-Banana Juice, Twister, vodka by Daniel Wilson. Bookmark the permalink.